CAFFEINE - How Much is Too Much? 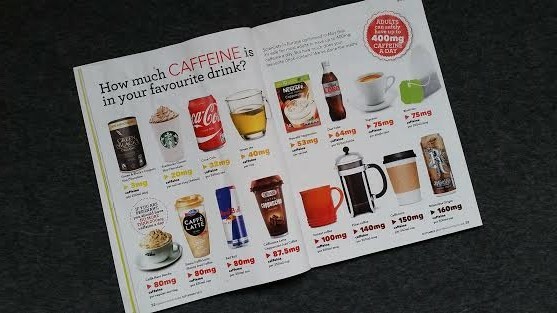 In the latest issues of Healthy Food Guide (HFG - September), there was an interesting little feature on caffeine. This definitely got me thinking about caffeine, what it does, how much we can have and if it's even good for us. 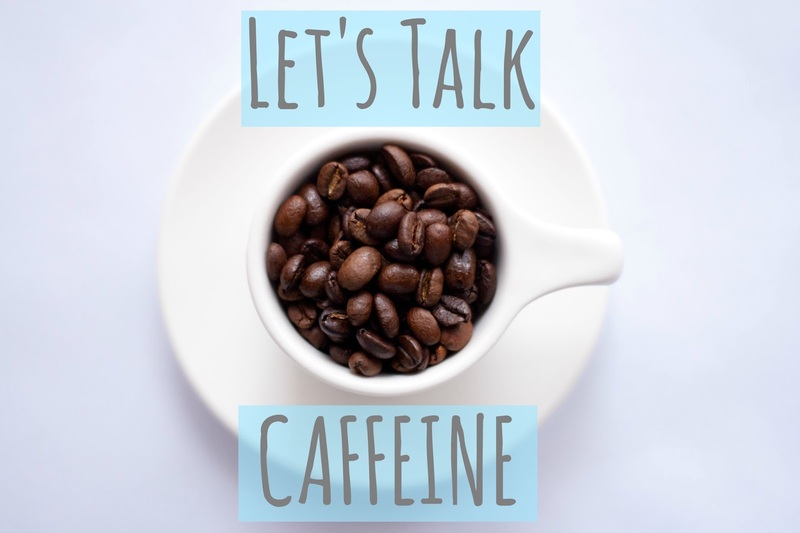 Caffeine is a stimulant that affects our central nervous systems and is one of the most widely consumed psychoactive drugs (a drug which changes brain function and results in alterations in mood, perception or consciousness). Caffeine is a naturally occurring substance found in many plants, including coffee beans, tea leaves and cocoa. So, being a stimulant, caffeine blocks certain receptors in your brain that result in you feeling more awake and alert and less tired. Although the extent of this depends on whether you're a regular caffeine consumer or not, as if you take in caffeine regularly you will develop a tolerance meaning it will have less effect on you. On the flip side, if you're not one to consume regular caffeine, then having a larger intake than usual will probably result in a more stimulation. Aside from making your feel more awake and alert, caffeine has been shown to increase metabolism (hence it's presence in many fat burning supplements), increase athletic performance, improve cognitive functioning and improve your mood - although I think a lot of this is based on the dosage. Too much caffeine certainly isn't good for you, and consumed in large doses it can be toxic (1g can said to cause clinical toxicity - this equates to 10 cups of instant coffee). Consuming high doses of caffeine can result in increased anxiety, jitters, headaches and even fatigue. You can also experience withdrawal from caffeine - ever skipped your morning coffee and felt like poop? That's probably the caffeine (or lack of). Caffeine can also have an impact on your digestive system, so if you experience gastrointestinal issues (e.g. IBS) it's always wise to proceed with caution if you're not a caffeine regular. So, research shows that the average adult can safely consume 400mg of caffeine a day. So if we're looking at HFG's infographic, that's equates to around 5 cups of tea (I talk in tea because that's my fave!) or 4 cups of coffee. Thinking about how much caffeine I consume, I think I'm probably at the higher end of the scale, but generally within the 400mg cap. Given that approximately 90% of the world's population as consuming caffeine in some way, shape or form, and that it's present in many natural products, I'm inclined to believe that it's not horrendously bad for you. However, I'm mindful of the fact that in today's coffee loving, fast paced modern lifestyle, caffeine consumption is something we need to be aware of given the negative side effects that can occur when you have too much. If you would like to find out more about HFG, or even subscribe yourself, you can do so here. Are you a caffeine lover? Based on the HFG information, are you having a safe amount or too much caffeine? I'd love to hear your thoughts either in the comments below, or drop me a tweet @mygenerallife. While you're here, why not check out my previous post: Finland 2015 - Part 1. 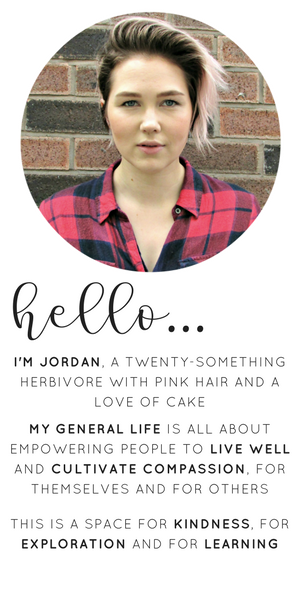 Interesting article Jordan. I used to be subscribed to HFG magazine but I stopped the subscription as they didn't publish enough vegetarian recipes but also I didn't agree with some of the stuff they published. They still do some great articles though. Anyway, back to caffeine.. :-) I drink around 3-4 cups of green tea a day and I think this doesn't give me caffeine overdose and it's pretty safe. Just to note that we all need to keep in mind that organic is better otherwise you are drinking lots of pesticides as well which is not that healthy.. Living Well One Line A Day.